Briefings • PSPOs • Take action! The Local Government Association has produced guidance on Public Spaces Protection Orders (PSPOs), which may be useful to those seeking to oppose PSPOs locally or nationally. The guidance is non-statutory, and so councils are free to ignore it. But the guidance has advisory authority, and could be invoked by those seeking to oppose PSPOs in their area. It shows that there is some concern in councils and local authorities about the over-use of these powers, and efforts to direct them towards more reasonable uses. 1. The LGA guidance suggests that PSPOs should target actually harmful behaviour, rather than behaviour that is possibly or in some cases related to harm. This addresses the main problem with current PSPOs. Because of the vague requirements in the law, many PSPOs have banned behaviour that is in itself innocuous and not harmful, such as standing in a group, rough sleeping or playing music. the most robust Orders directly address the detrimental behaviour, rather than activities which may not in themselves be detrimental or which target characteristics that might be shared by some of those responsible (or with the wider public). PSPOs are most effective and most robust to challenge where they are tightly drafted and focus on the precise harmful behaviour identified. Being clear on addressing the problem behaviour in an Order can help avoid the risk of unduly pursuing individuals who may not be causing any real harm. These parts of the guidance could be invoked by groups seeking to oppose overly vague orders, which criminalise behaviour which is not in itself harmful. 2. The LGA guidance suggests that councils hold a full and open consultation, involving different camps of opinion, and giving people an opportunity to oppose an order. Many local authority consultations have been cursory affairs, in some cases not even giving people an opportunity to express their opposition to an order. 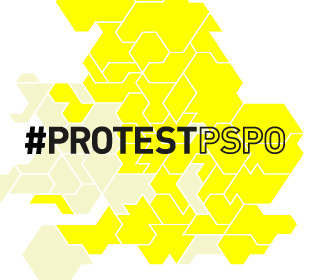 Some local authorities have also been unwilling to engage with opponents of a proposed PSPO. An effective consultation process with a range of stakeholders will also help to assess the impact of the ASB and where an appropriate balance for restrictions on behaviour should lie. Encouraging open discussion as part of the consultation process can help to identity how best to balance the interests of different groups – both those affected by the anti-social behaviour and those who will restricted by the terms of an Order – and a chance to explore whether there may be any unintended consequences from the proposals; in particular, any adverse impacts on vulnerable people. The consultation should also provide sufficient means for respondents to oppose the proposals and may also be used to elicit views on alternative approaches. Achieving a healthy response rate, with considered responses, will help to support the evidence base for introducing an Order and refuting challenge. These parts of the guidance could be invoked by those calling for a more open/thorough consultation, or seeking to meet with the council to discuss their concerns about a PSPO. 3. The guidance suggests that councils consider alternatives to PSPOs. There is a tendency for some local authorities to use a PSPO in response to any local problem or complaint, without considering alternative approaches to resolving disputes. PSPOs will not be suitable or effective in all circumstances, and it is important to consider carefully the right approach for identifying and addressing the problem behaviour. Other options should actively be considered before a PSPO is pursued – and where a PSPO is used, it should be carefully framed and employed alongside other approaches as part of a broad and balanced anti-social behaviour strategy. In some areas, codes of practice around certain practices such as busking, or posters setting out ‘good behaviour’ associated with activities such as skateboarding, have provided effective solutions in responding to particular concerns. These parts of the guidance could be invoked by groups seeking to get a PSPO withdrawn, for example, by suggesting alternative solutions to disputes around busking or skateboarding. 4. The guidance suggests that councils should pass PSPOs through democratic processes. Our research has shown that almost 40% of all PSPOs are passed by a single council officer, often an unelected official. This means that PSPOs are not accountable to elected councillors, nor are they subject to proper legal scrutiny. Close involvement of councillors and ensuring political buy-in throughout the implementation process are key. This provides political accountability for decisions taken – which is particularly important if the proposals may attract some opposition, and where insufficient member involvement may lead to challenge. Political support is also important to ensure that sufficient resources will be made available to implement and enforce the PSPO throughout its duration. Many areas have agreed that final approval and sign-off of PSPOs should be undertaken at cabinet/ executive or Full Council level. In ensuring that the requirements under section 59 of the 2014 Act have been satisfied, councillors will have a significant role to play in unpicking what might be regarded as unreasonable and detrimental behaviour in the locality and what would constitute reasonable restrictions or requirements. Councillors will also have an important role in examining the processes used in drafting the proposals. This will include analysing the outcomes of the consultation process and other supporting evidence offered to satisfy the statutory criteria, and determining whether, on balance this provides sufficient grounds to proceed. This adds a further element of democratic accountability and helps to ensure that decisions made are sound and transparent. In several cases, involvement from scrutiny committees has helped to focus the scope of Orders proposed. This part of the guidance could be invoked by campaigners or councillors seeking to get a draft PSPO debated in full council, or considered by elected scrutiny committees. 5. Dog walkers should have land available where they can exercise their dogs. The growth of no-dogs and dogs-on-lead areas means that some dog owners are being left without suitable spaces where they can exercise their dogs. When drafting an Order placing restrictions on dogs for instance, it should be considered that owners have a duty under the Animal Welfare Act 2006, to provide for their animal’s welfare, which includes exercising them. In determining the area covered by restrictions, councils should therefore consider how to accommodate the need for owners to exercise their animals. This part of the guidance could be invoked by those seeking to oppose an unreasonable restriction on dog walking, which will hamper dog owners’ ability to exercise their dogs in their local area.